Now that we’re in the future (as it seemed to us in the 1950s), it’s become conventional to ask plaintively, where’s my flying car? My rocket pack? But for my part, now that it’s 2018, I’m asking: where’s my spindizzy? 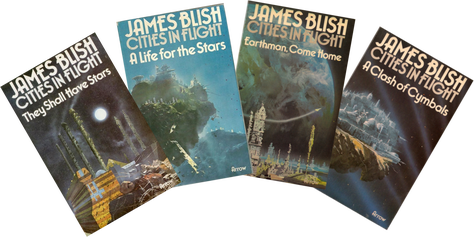 The term comes from James Blish’s Cities in Flight, a sprawling science fiction series published between 1950 and 1962. 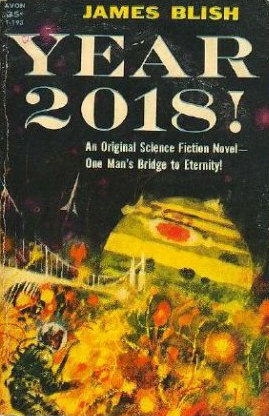 The first volume, which details how interstellar travel began, was in some versions titled Year 2018! So the year we’ve just entered is permanently fixed in my head as a memorable future date—just as for many of us, 2015 was memorable as the year to which Marty McFly traveled in Back to the Future II. Blish imagines a future in which faster-than-light travel is made possible by a device formally titled the Dillon-Wagoner Graviton Polarity Generator, but nicknamed the “spindizzy.” The more massive the object, the more efficiently a spindizzy field accelerates it. While you can use the drive in a small spaceship, it really works best for something bigger. In addition, the spindizzy creates a force field or screen around the spacecraft, which can keep in air as well as keeping out meteoroids and such. And it has no problem maintaining artificial gravity inside the craft. The spindizzy is thus perfectly adapted to lifting an entire city off the ground and sending it hurtling through space: New York, or Scranton, or Budapest. The idea of walking down Fifth Avenue or stopping by the Empire State Building while voyaging among the stars is irresistibly cool, to my mind at least. (I used to play at building spindizzy-powered spacecraft out of construction sets as a kid.) But what makes the story really distinctive is the way Blish depicts the society in which this migration occurs. Cities don’t leave Earth as part of some glorious exploratory venture. Rather, they pull up stakes and go elsewhere because Earth has fallen into a permanent depression, and the cities have no choice but to seek economic opportunity among already-existing interstellar colonies, providing established industrial capacity to these still-developing worlds. 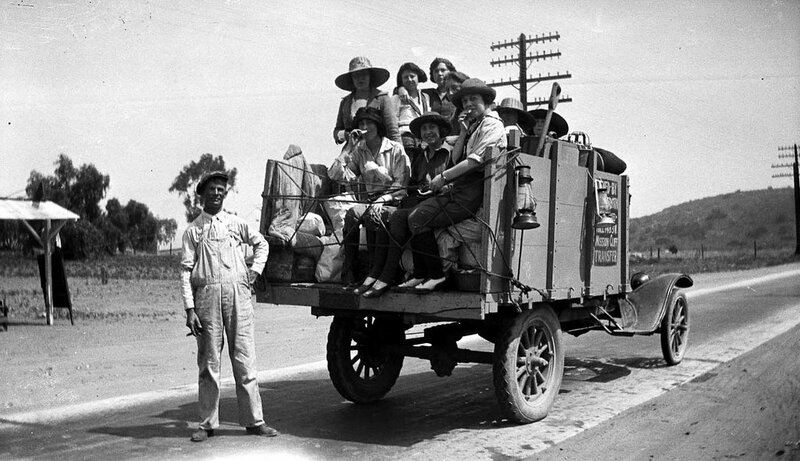 Traveling from planet to planet, offering their services, the flying cities are essentially migrant workers, like the “Okies” in America’s 1930s. For a city to “go Okie” is an indicator of desperation, rather than of success. The migrant cities are regarded with suspicion and contempt by the planets they serve, just as the original Okies were. It’s not your average space opera scenario. As the publication dates show, Blish didn’t go at this in a neat sequential way. First he produced the contents of the main volume, Earthman, Come Home, interspersed with the two overlapping stories that make up the first volume, They Shall Have Stars. 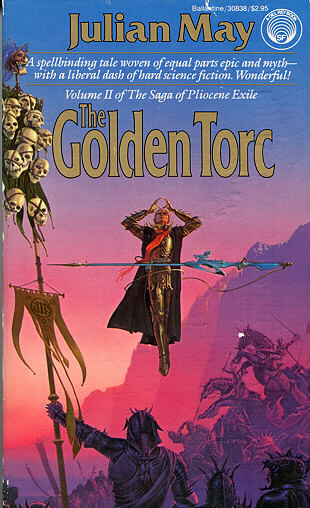 The concluding (and I do mean concluding) book, The Triumph of Time, followed a few years later. 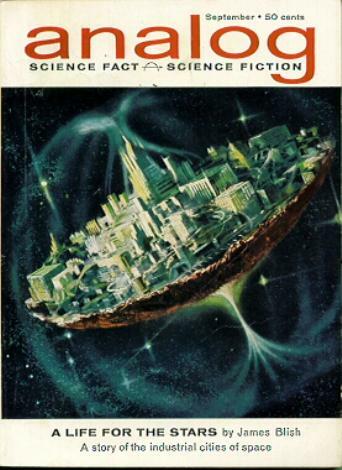 Blish then went back and for some reason wrote a young adult novel in the same universe, A Life for the Stars, telling the “origin story” of a character briefly mentioned in Earthman. One of the most peculiar things about Cities in Flight is how different the four books are from one another. 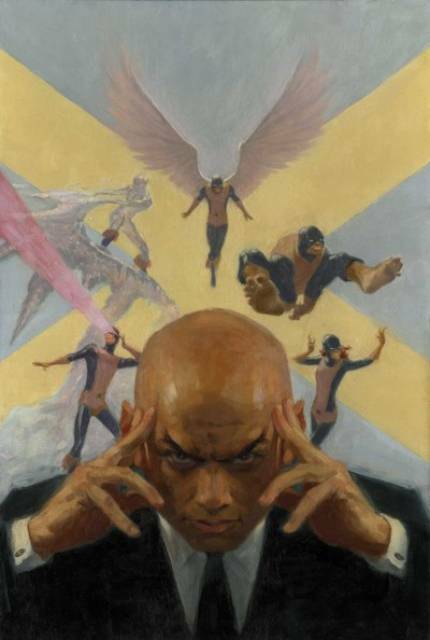 Many series make up a single continuous storyline; even in those that don’t, the stories generally are at least the same kind of read. But Cities gives us four quite different types of tale. They Shall Have Stars (or Year 2018!) is character-focused. Paige Russell, a disillusioned spaceman (space travel within the Solar System was taken to be well-developed by 2018, sigh) and Anne Abbott, a suspicious pharmaceutical employee, become involved in developing the life-prolonging drugs or “anti-agathics” that also turn out to be necessary for interstellar flight—because you can go faster than light and still need decades to cross interstellar distances. Space is big. Paige and Anne have a thorny love story that’s rather touching. Meanwhile, Robert Helmuth and Eva Chavez (who have a more perfunctory romance) are part of a team building an apparently pointless “Bridge” by remote control in Jupiter’s atmosphere. The Bridge’s top-secret purpose is to conduct the final tests for the theory that result in the spindizzy. Along the way, there’s a good deal of acerbic political commentary (Blish’s 2018 is a close analogue of the McCarthy era) and a lot of soul-searching as the characters search for a purpose greater than their own lives. In the Author’s Note to The Triumph of Time, Blish observes that “I had already put my very long-lived characters through nearly every other possible test.” He now confronts them, not only with certain death, but with the certain death of everything. The spindizzy-driven planet of “He,” last seen shooting off into intergalactic space at the end of one of New York’s escapades in Earthman, returns with evidence that the entire universe will soon be destroyed—“the imminent coming to an end of time itself” (Triumph, ch. 3, p. 50). The vast cosmological forces involved cannot be affected by human beings; this is not the sort of space-opera scenario where our doughty heroes somehow manage to avert catastrophe. The only sort of survival possible is that if the characters can be in the right place in the right time, they can ensure that the new universe that will re-form after the catastrophe will be kind of like our own. But they’ll never see it themselves. The main drive of the story is in how the characters cope with the end of the world. It’s a bit of a downer, right? But Blish was a gloomy guy. Cities in Flight is a genuine future history: a set of varied stories set at different historical periods in the same imagined universe. There is no overlap between the characters in They Shall Have Stars and those in the other stories, and only limited overlap between A Life for the Stars and the last two. Since the series gives us a set of snapshots of the Okie cities from their inception to The End, one might say there’s a single long narrative arc. But essentially, each book has an independent plot. As we’ve seen, Cities in Flight shows us that these varied stories can be of quite different types—so much so that they won’t necessarily all appeal to a single reader. On the other hand, the Okie universe is so fascinating, and the characters’ exploits so enjoyable, that I’m willing to read them all, with each different “take” on the future history enriching the others. Finally, the series reminds us that in depicting the future, it’s usually better, if you can get away with it, to avoid mentioning actual dates. Fiction of the future inevitably dates itself; after a while real history diverges enough from the imagined history that an old-time SF story becomes a sort of cultural artifact. But the inconsistency is even harder to hide if you tell us straight-out that starflight was invented in the annus mirabilis 2018. We can’t avoid being disappointed when the year rolls around and the wonderful thing hasn’t happened yet. 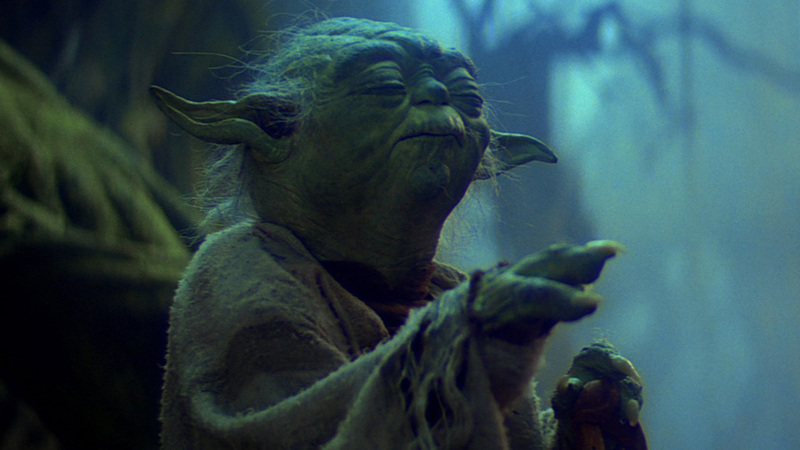 Science-fictional ideas have been gradually percolating through our popular storytelling and entertainment for years, as I noted at the beginning of these observations. One example is the idea of time dilation—that time passes more slowly at very high velocities—in the theory of relativity. The classic illustration is the “twin paradox.” We can trace this image from the science itself, through a classic novel, to—of all things—a rock song. This isn’t an illusion. When the spaceship eventually returns to Earth, I’ll find that the traveling clock is behind the stay-at-home timepiece. The same is true for living organisms. If I planted a pair of trees before the ship left, the tree that made the flight may still be a sapling when it returns, dwarfed by its towering ‘sister’ on Earth. If you’d like the math, the Wikipedia article on the twin paradox gives an example for a trip to the nearest star, Alpha Centauri. As with most of the peculiar consequences of relativity, we don’t notice such differences in ordinary life because they’re so small as to be undetectable at the speeds and scales we normally deal with. But if we look closely enough, the same effects are observable. Even the humble GPS app on your smartphone has to take into account the slowdown of the clocks on the GPS satellites, which move slowly compared to C but fast enough that the very precise positioning signals are affected. Early on, physicists came up with a vivid illustration involving a pair of twins. If one twin takes a trip at near-lightspeed, she will end up younger than the twin who stays home. At low velocities, the difference will be unnoticeable. A twin who spends a few months on the International Space Station will come back slightly younger than the stay-at-home twin, but only slightly. Up the velocity, though, and we up the ante. It would be quite startling, by normal standards, if the astronaut twin were still college-age while the earthbound twin were ready for retirement. Sounds like a story, doesn’t it? Robert A. Heinlein’s 1956 young adult novel Time for the Stars does exactly this: it makes a story out of the twin paradox. Tom and Pat Bartlett are teenagers growing up centuries from now. Tom is our viewpoint character. Pat is the “dominant” twin: he always seems to end up with the bigger piece of pie. In this future, population pressure is extreme. The Long Range Foundation commissions twelve near-lightspeed “torchships” to look for colonizable planets among the nearby stars. The LRF has discovered that certain pairs of twins can communicate with each other instantaneously, by telepathy (which baffles the physicists no end, since that’s theoretically impossible). This gives the LRF a way for the starships to get their findings promptly back to Earth, and incidentally explains what an average teen is doing aboard an interstellar exploratory ship. One twin goes abroad; one stays home. Heinlein’s characteristic mixture of sound scientific detail and relatable characters makes the novel a highly engaging story. We see the finagling by which it’s decided which twin (Tom) goes to space. We get a vivid picture of life aboard a starship that will travel independently for years (even according to its own time frame)—which is where I first learned the word “ecology.” We see strange worlds and watch how the people aboard the Lewis and Clark (known to its passengers as the “Elsie”) interact. 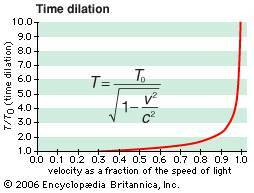 Time dilation is described with realistic detail. As the Elsie approaches the speed of light (never quite reaching it), Tom has to “speak” to his brother more and more quickly, and Pat on Earth has to communicate more and more slowly, because their time frames are increasingly out of sync: “he complained that I was drawling, while it seemed to me that he was starting to jabber” (ch. 11, p. 113). But it’s the age difference that makes things really difficult. At the end of the first near-lightspeed jump, Pat is eleven years older than Tom and has a seven-year-old daughter, Molly. 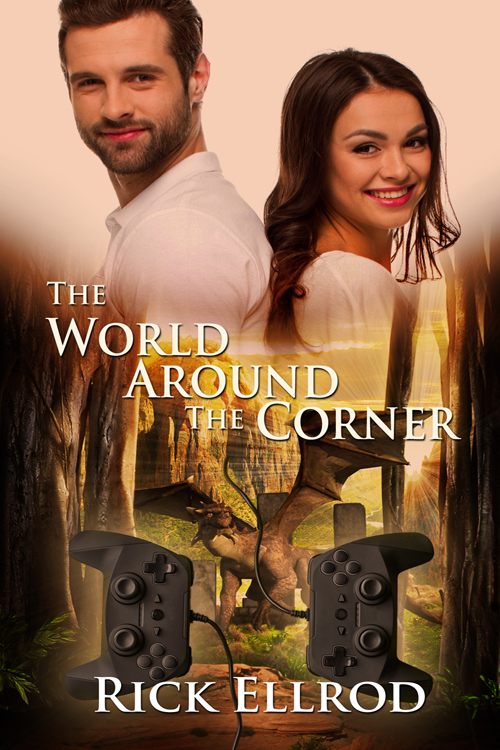 It becomes harder for Tom and Pat to connect; they’ve grown apart to the extent that they now have little in common. Fortunately, it turns out that the twins’ connectedness can sometimes be passed on (stretching the original concept considerably): Tom can communicate with Molly as well. As time goes on, Tom’s connection with Earth is increasingly through his brother’s descendants, though Pat is still alive. 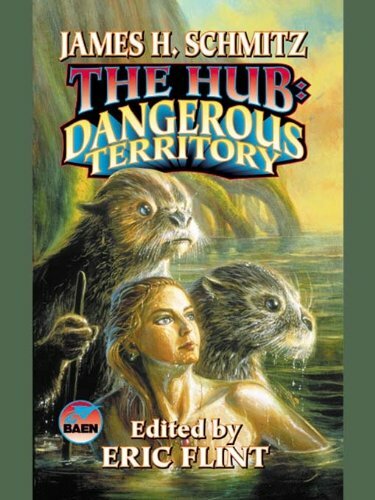 Jo Walton has a review with a fascinating (and telling) aside on what Heinlein’s book would have been like if it were written today, rather than in the 1950s. But we’re going to go on to look at a more unlikely treatment of time dilation. As far as I know, no one is contemplating making Time for the Stars into a musical. But years ago I ran across a song on a 1975 album by the rock band Queen. The song is called “’39.” The official lyric video gives you both the recording and Brian May’s lyrics. Note the imagery the band chose for the introductory graphics. If you didn’t have the lead-in we’ve walked through here, the song might seem rather baffling. The acoustic sound, the rather antique style, and the mention of sailing off to discover new lands makes us think of olden times. But what’s with “. . . the day I’ll take your hand / In the land that our grandchildren knew”? One clue is the songwriter’s coyness about the first two digits of the date that forms the title. If someone says “’39,” we normally assume they mean 1939. But there was nothing like this happening in 1939. The song is full of this careful ambiguity. If you come to the song with a science-fiction background, however, it’s clear what it’s really about. Clues are scattered all through the lyrics. We’ve got the population pressure: “the days when lands were few.” The brave crew is “inside” the ship, rather than “aboard.” It sails “across the milky seas”—the Milky Way. The singer is “many years away” from his beloved. The Volunteers bring back news of “a world so newly born” to colonize. Most significant, he’s “older but a year,” yet the earth and his beloved have radically changed. We haven’t got twins or telepathy in sight, but otherwise, we might well be talking about the mission of the Lewis and Clark. When the Web was invented and I finally looked up the song in Wikipedia, I was tickled to find my guess was correct. According to the Songfacts site, the composer May studied astrophysics, and he himself has referred to the piece as a “sci-fi folk song” (commonly referred to as a “filk song”). The story line isn’t as clear as Heinlein’s, to be sure. For one thing, the traveler seems astonished at the relativistic time slippage when he returns (“this cannot be”). No real astronaut would be that unaware of what to expect. In addition, in the chorus the singer seems to be addressing both a stay-at-home spouse with whom he’s had grandchildren (“my love”), and a descendant (“your mother’s eyes”)—unless perhaps, like Tom Bartlett, he’s fallen in love with a much younger family member. In any case, with the necessary compression of a story into the poetry of lyrics, we don’t expect as literal a narrative as in a novel—particularly when, as here, May seems to have been deliberately indirect, even tongue-in-cheek, as a sort of joke on the listener. But, just as in the novel, the song’s emotional resonance involves a romance as the most poignant expression of the results of time dilation. It also ends with an appeal for sympathy with the personal dislocation of the narrator, who returns to a world far different from the one he left (“For my life still ahead, pity me”)—a theme also touched on at the end of Time for the Stars. The three-part comparison reminds us that, even as far back as the 1970s, science fiction turns up in the darnedest places; and that scientific developments can bring new aspects to the timeless concerns of our hearts.